Covering 170,000 acres of undeveloped forests, wetlands and open lands, Land Between the Lakes National Recreation Area (also known as "LBL") is a natural playground for explorers, outdoor enthusiasts and anyone who needs a break from their urban landscapes. With 300 miles of natural shoreline and 500 miles of trails, there are plenty of opportunities to swim, hike, bike, fish, picnic, boat, bird watch or even try one’s hand at geocaching. Each year about 1.5 million visitors, ranging from school groups to families, make their way to the Land Between the Lakes recreation area to explore the rich, natural surroundings that compose the scenery of a large portion of western Kentucky and Tennessee. There’s nothing quite like sleeping out under the stars. Whether you’re looking for a place to park the RV or prefer a more primitive campsite to pitch a tent, Land Between the Lakes is filled with beautiful landscapes void of the clutter and noise of urban life. Those backpacking along the peninsula’s plentiful trails can also find a number of good locations to set up camp for the night. An extensive 500-mile trail system is open to the public year-round, giving guests the opportunity to experience the beauty of every season. The fields and shores are flooded with native plant life and wildlife. Visitors will enjoy exploring the recreation area’s undeveloped forests on foot, bike, off-road vehicle and horseback. Several trails are open to hikers and bikers. Woodlands Nature Watch Trails are only open to hiking. Trail maps are available online for the Canal Loop, Central Hardwoods Scenic Trail, Fort Henry Trails, Hillman Heritage National Recreation Trail and many others. There are designated trails for off-road vehicles to explore in Land Between the Lakes’ Turkey Bay Off-Highway Vehicle Area. The trails cover about 100 miles of scenic routes that offer a variety of off-road experiences for riders of all levels. Guided horseback trail riding is available at various times of the year. Wranglers Campground provides a natural hideaway for those who seek to saddle up for a few days and ride the horse trails found throughout the area. There are several mapped out trails and historic attractions along the way. For a unique perspective on the natural landscapes and history that runs through this national recreation area, guests can rent a canoe or kayak, or bring their own, and paddle the waterways that wind through these wooded areas. Water trails offer a front row view of the area’s plentiful wildlife and Civil War heritage. Birdwatchers will find over 240 species of birds that make the peninsula their home at different times of the year. Fishing holes are also located along these scenic waterways. Five trails have been identified and more will be defined in the near future. Hunting opportunities are also available at Land Between the Lakes. Throughout the year, licensed hunters will find that the peninsula abounds with deer, turkey, small game and waterfowl. State rules and guidelines for licensing apply. Lake Barkley and Kentucky Lake make up the world’s largest body of man-made waters. The two lakes are connected by a 1.75-mile canal. There are also fishable lakes and interior ponds located throughout the peninsula that make up the Land Between the Lakes National Recreation Area. Some of the fish that boaters and fishermen will find in these waters include crappie, bass, catfish, sauger and bluegill. A fishing license is required. In addition to the natural resources that make this recreation area the picturesque attraction that it is today, the land provides a natural habitat for the native wildlife that live in this area. Beaver, elk, bison, bald eagles, osprey, egrets and a number of other birds can be spotted by wildlife watchers among the wooded forests and open lands that encompass this national recreation area. The Woodlands Nature Station serves as a center for education and a natural gateway to the peninsula’s 8,500-acre Nature Watch Area. The nature station provides adults and children an up-close view of some of the natural habitats of the wildlife that live in these woods. 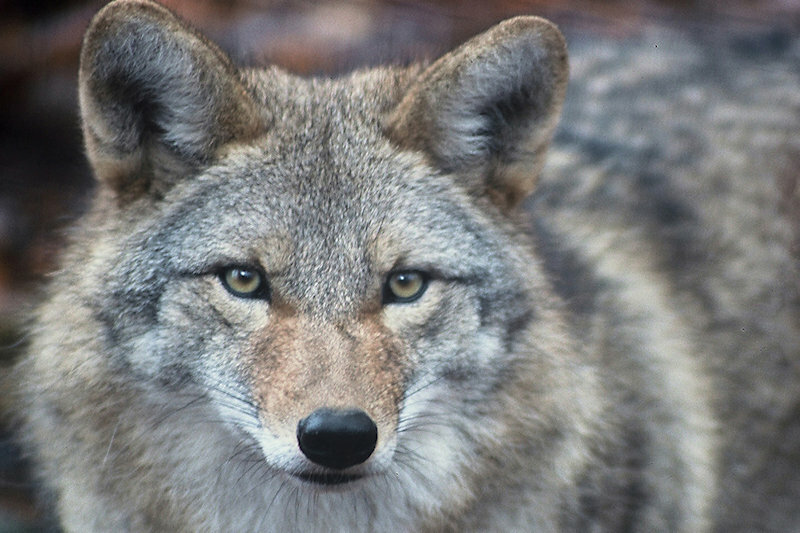 One might encounter a great horned owl or catch a glimpse of a coyote or red wolf housed in the station’s Backyard Exhibit Area. Guided programs and tours are offered throughout the year. Some highlights include a sunset canoe trip, story time programs, nature hikes and many other opportunities for children and adults to learn more about the wildlife and natural surroundings that make this national recreation area such an intriguing place for visitors to explore. Open from dawn to dusk every day of the year, The Elk and Bison Prairie is one of Land Between the Lakes’ most exciting attractions. This native grassland habitat offers visitors a look at how Kentucky lands would have looked like a century ago. Guests can observe the wildlife from the safety of their vehicles. Within these 700-acres, elk and bison roam freely. If one is lucky she’ll spot a mama and her calf hiding among the grasses in the late months of summer. During the hot summer months, visitors may find elk and bison cooling off in a nearby pond. While elk and bison are the main attraction, a variety of native plants, wildflowers and other wildlife can be found in this reserve. 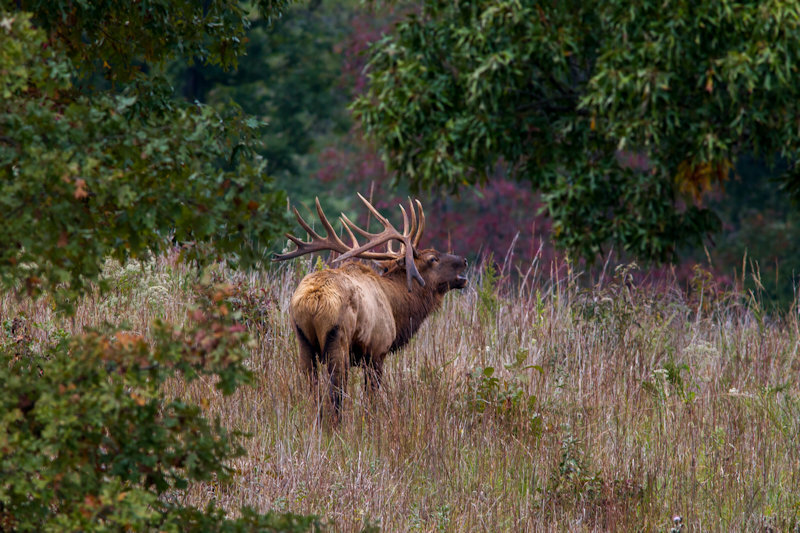 From turkeys to prairie mammals to snakes and a variety of birds, visitors to the Elk and Bison Prairie will be amazed at the beauty and majesty of the creatures that live here. There is a $5 fee per vehicle for this attraction. One-time entry cards can be purchased at the Prairie entrance, the Golden Pond Visitors’ Center or any welcome center within this national recreation area. It’s difficult for modern people to imagine what it was like for the early settlers who raised families and crops on the Kentucky frontier. That’s what makes the Homeplace 1850s Working Farm so intriguing. 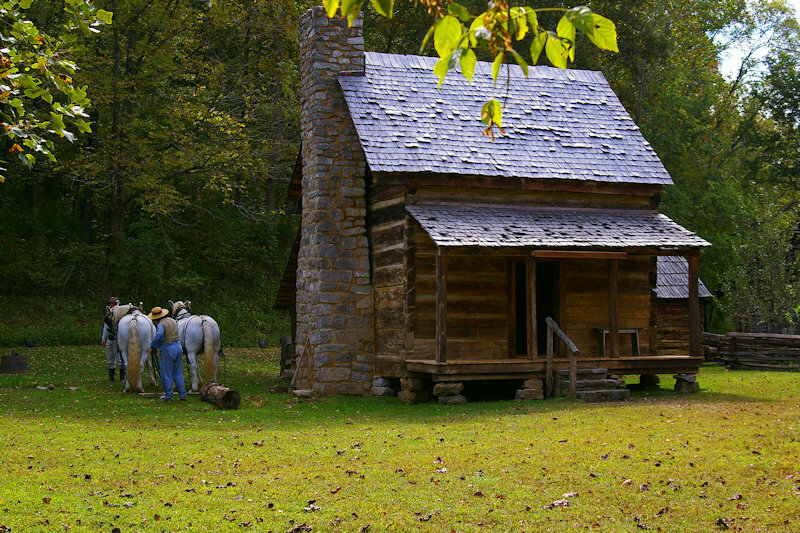 This is truly a working farm, where you’ll find rare species of livestock and heirloom plants that were prevalent prior to the Civil War. Guests are awed by the amount of labor that went into farming the land, cooking meals and keeping one’s family clothed and healthy. Interpreters dressed in 19th century costume perform the routines and tasks that the region’s forefathers would have done each day. A variety of tools and artifacts are on display to shed light to modern viewers on how life on the prairie would have truly been lived. There are a number of Civil War sites and attractions scattered throughout western Kentucky and Tennessee. In fact, the Civil War comes to the Homeplace 1850s in mid-December, offering visitors a real-life look at how the war affected families and farms during this unsettling time in US history. There are on-going programs at Fort Donelson National Battlefield and Civil War Days are hosted at Columbus-Belmont State Park in October. Digital maps of some of the battlefields are available online. 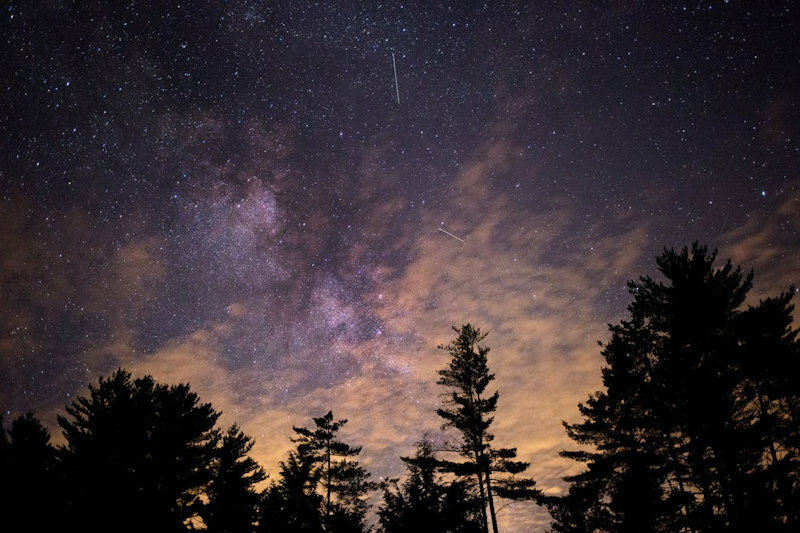 Stargazers love the unobstructed views of the ethereal night sky at Land Between the Lakes. Those who seek a closer look at the night sky can attend one of the regularly scheduled education programs at the park’s planetarium or schedule time at the observatory. The planetarium’s digital projection system casts images of stars, constellations and planets against a 40-foot theater dome. It has also been designated as a NASA Educator Resource Center. Other popular attractions at the planetarium include laser light shows that begin the Saturday of Memorial Day weekend and conclude at the end of the year. 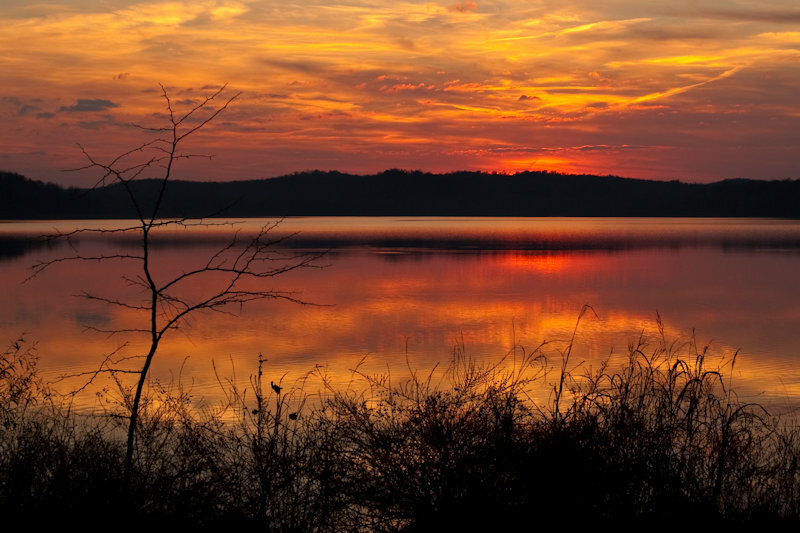 Whether one chooses to camp at one of the recreation area’s top-rated camp sites or to lodge at the Brandon Spring Group Center, a nearby hotel, cabin or resort, visitors to Kentucky Lake and Lake Barkley will want to make a trek to Land Between the Lakes a priority stop on their vacation.